If you're going to head to the South Pole to attempt a risky, rarely attempted winter medical rescue, it probably helps to find a mountaineer-turned-physician assistant who also happens to have experience working in Antarctica. Think it's an impossible set of qualifications to find? Then you haven't met Anchorage's Thai Verzone. "It's a pretty unique skill set," Verzone said in a recent phone interview. 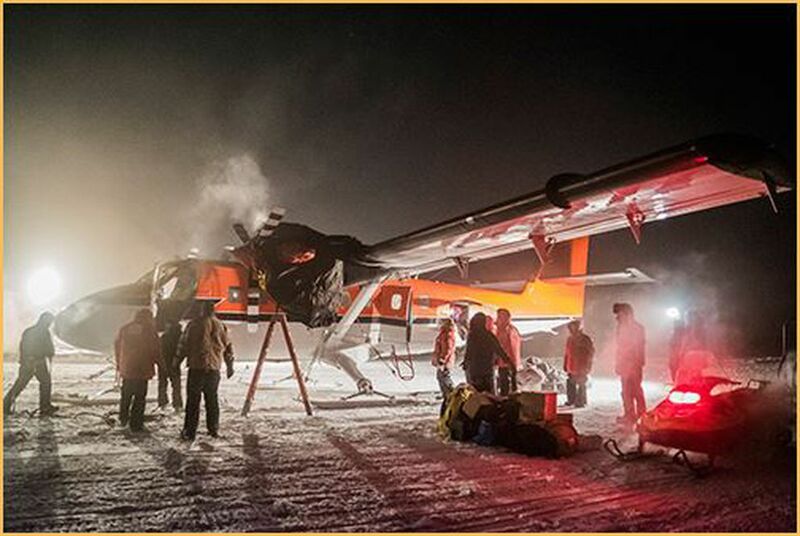 Verzone was part of a small crew that traveled to the South Pole last month as part of a mission to rescue two sick workers at the Amundsen-Scott research station during the height of Austral winter. Verzone and the crew successfully completed the flight June 23, making them only the third team in history to fly to the South Pole during winter. Verzone's role was key: to serve as a medic for the two patients on their flight back to Chile and, if necessary, serve as a mountaineer in the event of an emergency landing. "They wanted someone able to live in Antarctica in case something went wrong," Verzone said. Constant darkness, temperatures dropping to minus 100 degrees and extreme weather are all normal conditions for Antarctic winters. If the rescue crew had to make an emergency landing, it would be Verzone's job to set up camp and keep people safe. "And most people aren't typically camping in Antarctic winter," he said. Verzone's skill set is especially rare, according to Mike Tayloe. Tayloe is the owner of Katabatic Consulting and Technical Services, a Colorado-based remote area medical mountaineering and logistics firm that recommended Verzone for the rescue mission. There are plenty of midlevel medical providers with mountaineering experience. Tayloe said. But Antarctic experience? "There just ain't many people out there that can do that," Tayloe said. When he's not out adventuring — Verzone spoke to Alaska Dispatch News in-between paragliding competitions in Washington state — Verzone, 41, works as a physician assistant at Alaska Native Medical Center and often flies to remote Alaska locations to help transport patients back to the Anchorage hospital. He's also worked as a mountain guide in Denali and the Himalayas and done several stints as an Antarctic guide, leading scientists on research missions. But even with all his experience, the rescue mission was beyond anything he's experienced. 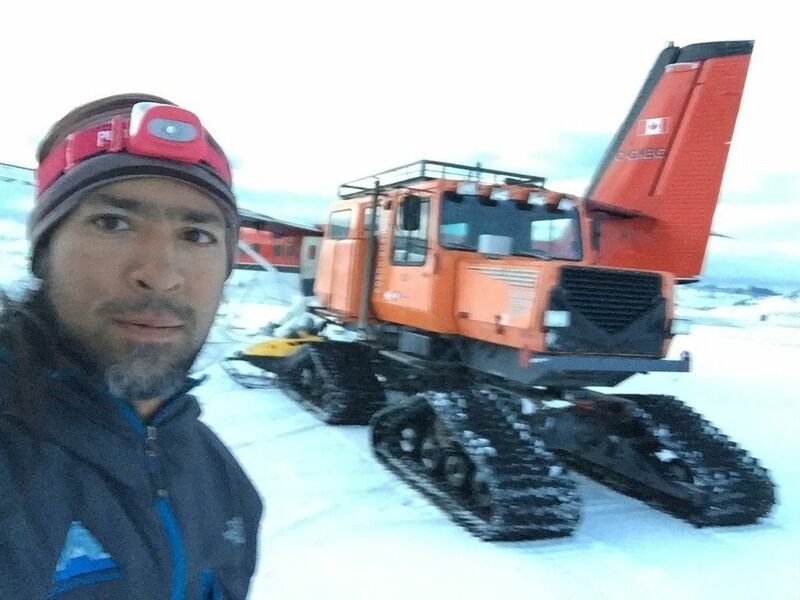 When it came to the flights from Chile to the Rothera Research Station (a British outpost off the continent's coast) and on to the South Pole station and back, Verzone said he "didn't do a whole lot." On the way back he cared for the two patients — whose identities and medical conditions Verzone wouldn't identify for privacy reasons — and administered oxygen to both them and crew (the Twin Otter planes the rescue mission used weren't pressurized and were flying at altitudes between 12,000 to 15,000 feet). But for Verzone, his biggest role came in the emergency planning. "I had to think ahead of all the contingencies of what could go wrong," he said. Verzone said whenever he travels in Antarctica he carries a survival bag equipped with three days of food and supplies. But in this case, due to the possibility of lingering bad weather, he brought survival supplies for each person to last for seven days. Each crew member had multiple sleeping bags to keep them warm in temperatures down to 40 below. Everyone had a pair of extreme cold weather down jackets and pants — essentially "a huge sleeping bag that you wear," Verzone said. And that was just for the crew. Verzone also had to prepare to care for the two patients. He carried several jump kits, essentially a mobile emergency room in a bag. "It's like what's in an ambulance and then some," Verzone said. But even with the supplies he had to prepare for complicated situations. Trying to keep IV fluids from freezing, for example, required extra coolers and hot water bottles. The flight itself was a success and Verzone didn't have to use his mountaineering skills. There were still stressors, though. Verzone said space in the airplane was small and crowded because of the amount of fuel they had to carry. Time zones switched continually, making sleep a challenge for the crew. Ice built up on the plane during the flight, breaking off and thumping violently along the side. Traveling over the Drake Passage — the body of water between Cape Horn and the Antarctic continent — was especially nerve-wracking, since there was nowhere to land. But there was also beauty. A sliver of sunlight before they descended into the total darkness of the Antarctic winter. Flying over icebergs 100 feet high and the size of small shopping centers. 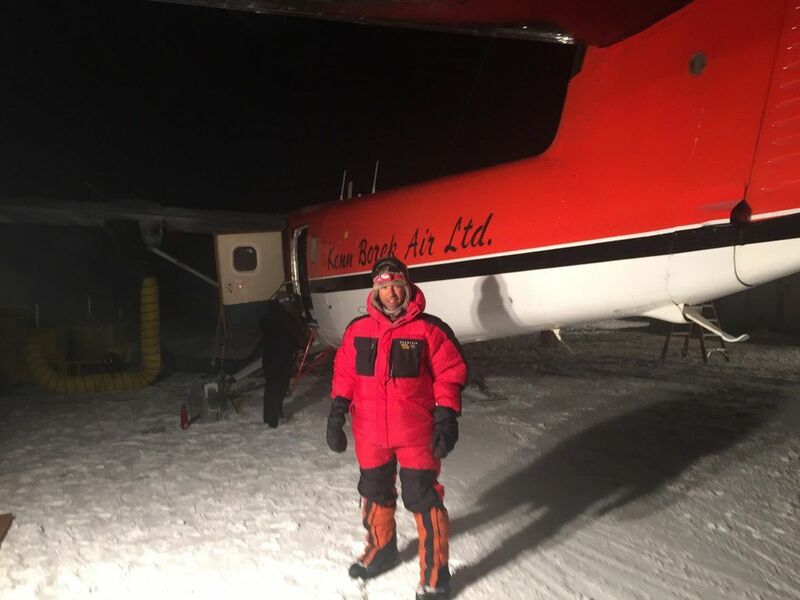 Verzone said his experience as a 20-year resident of Alaska helped with the rescue mission. "The Alaska mentality of having to be flexible and work with the conditions that you have, versus everything being totally routine or planned out," he said. "You can only do your best to be prepared and constantly think of contingencies before, and have it thought out before it happens."